Escudo I has been one of the best German stallions on the breed value rankings for years. His FN breed value in the 2016 Hanoverian Stallion book is 145 for jumping, and 86 for dressage. He has a Hanoverian breed value estimation of 135 points for show jumping and 136 for riding horse points and type. His dressage breeding value is a negative 65. 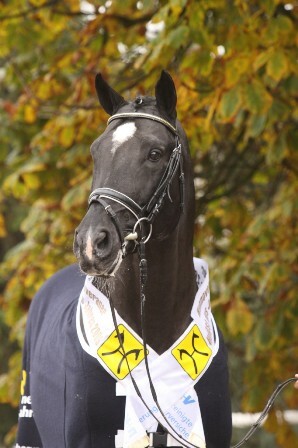 Escudo I is the 2009 Hanoverian Stallion of the Year. He was the winner of his stallion performance test in 1994 and achieved a convincing 144.90 points in the jumping category. 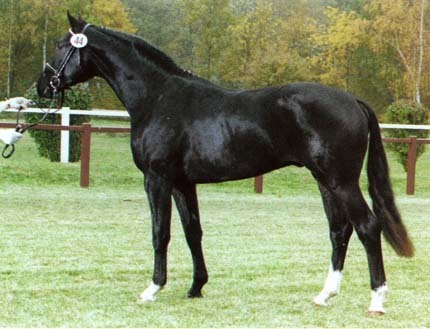 He is a son of the Celle State stallion Espri, who is known worldwide for producing outstanding jumping horses, such as "E.T." Escudo I exhibited phenomenal jumping talent at testing. 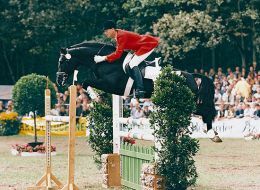 He won the 1996 Hanoverian Show Jumping Championships in Dobrok in 1996, and the six-year-old Jumper Champion title in 1997. He was also the winner of several show jumping competitions at "S" level in 1999. Escudo I is outstanding in type and expression, is well-muscled and has excellent gaits. So far, Escudo I has produced convincing crops of foals, including several winning foals at regional foal shows and the top price foal of the Verden Spring Auction in 1998. He has a show jumping breed value index of 151 points and 145 for riding horse points. He sires horses with excellent type and a fighting spirit for jumping. In the 2017 book, he is credited with 723 competitors (124 in S class) with winnings totalling more than 3,100,243 euros. 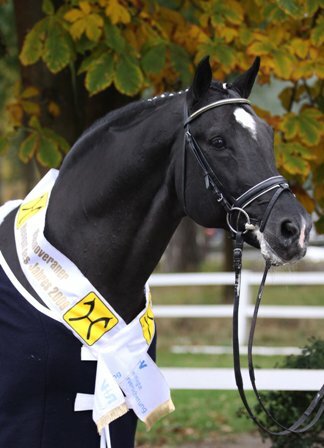 He has sired 18 horse with winnings of more than 15,000 euros – the most successful of which was Embassy II who with Hans Dieter Dreher is the winner of 1,021,673 euro prize, followed by Enorm who won 376,208 euros with Ludger Beerbaum. Escobar with Thomas Weinberg has won 145,166 euros. El Paso (Jessica Kuerten, Markus Beerbaum) was the Bundeschampion of five-year-old show jumping horses in 2003 and has gone on to win 38,038 euros.